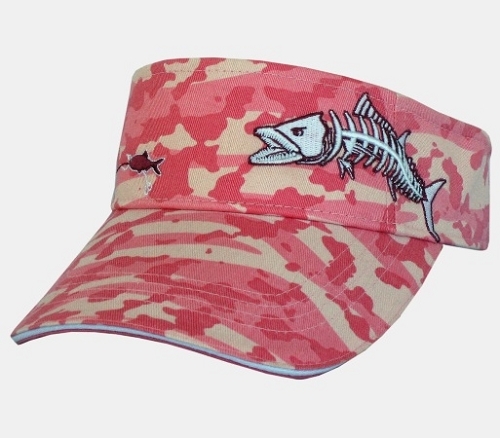 KINGFISH Roseate Pink Camo Fishing Visor- 3-D JUMBO SKELETAL REDFISH 'chasing bait' EMBROIDERY on GRGF's Stunning new Roseate Pink Camo print. 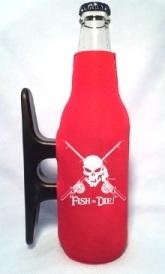 Comfortable, 100% cotton washed twill, Get Reel…Get Fish! embroidered in white on rear Velcro closure. 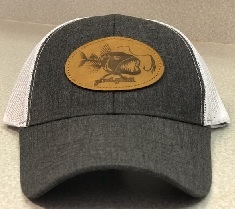 Outstanding Kingfish Ladies Pink Camo Fishing Visor!